2. Venus ruler Mercury opposite Neptune. 3. 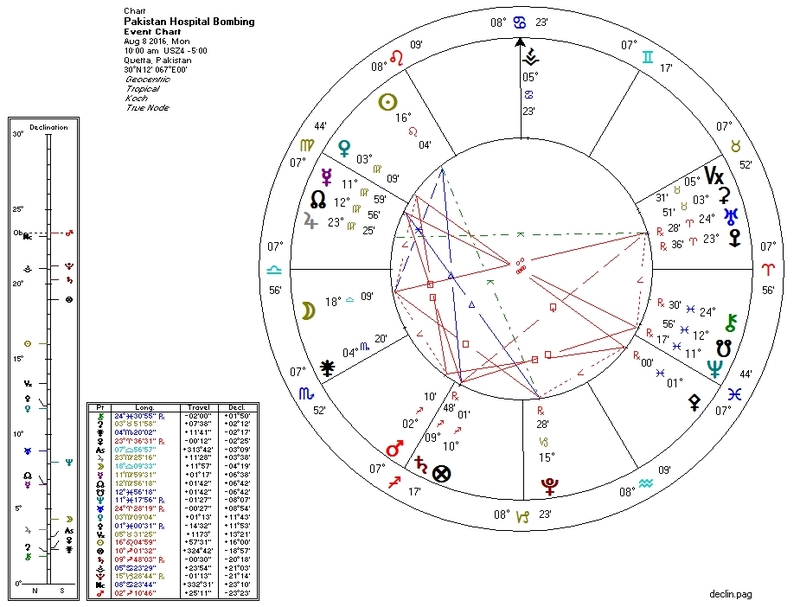 Venus ruler Mercury trine Pluto. The Pallas-Pluto aspect is with us for over a week, but the Sun-Pluto aspect is only good for a few more days. There is an astrological opening for another attack when the Moon forms a quintile with Pluto concurrent with these other aspects, tomorrow. There's no easy way to determine where it will be.